A friend of mine was recently involved in a rhino relocation programme and the experience both moved and haunted him in equal measure. The rangers explained that rhinos are particularly easy to poach for two reasons. One, they’re quite obviously enormous – it’s a little like setting one’s sights on a parked truck – and two, in many cases rhinos have personalities not entirely unlike Golden Labradors. The net result of this is that when a member of their family gets shot they often remain in the immediate area, refusing to scatter. They watch on, heartbroken and stressed out of their minds, as their loved one lies bleeding on the ground. The whole family is then picked off in a matter of minutes. Often all falling in an area no larger than a football field. I’m very pleased that rhino poaching is getting the attention that it deserves. Hopefully plastic car horns, public outrage and media bluster will ultimately translate into meaningful action and we can, at the very least, get a handle on the slaughter. The sad reality is that we’re down to our last 20 000 white rhino and 5 000 black rhino (depending on which report you read). This, in global animal terms then, is a tenuous state of affairs to say the very least. And yet there is, I believe, an even greater tragedy unfolding across the world – and most people are oblivious to it. As I write this, the White Lion sits precariously on the very edge of oblivion. You see, there are barely a few hundred left. In total. In the whole world. With the aid of a strong will and a pair of very thick oven gloves, you could theoretically fit them all in my garden. However, their low numbers – while immensely concerning – is not the real sadness. It’s their individual fate that’s so tragic. Less than 10 White Lion currently roam free in the wilds of their endemic habitat – an area known as the ‘Kruger to Canyons Biosphere’ – and yet, unbelievably, it’s still legal to hunt lions in this sacred place. Instead of protecting the White Lion as a precious living heritage for future generations, South Africans have been exporting them to international zoos and circuses for decades. But by far the majority of White Lion are held in private death camps where they wait to be shot by wealthy trophy hunters. And where, you ask, do these private owners acquire their White Lion? Well, often from those seemingly wonderful animal farms and nature venues where the public are allowed and encouraged (for a fee) to handle and pet the cubs. The problem, of course, is that at some point the adorable cubs grow up into powerful predators that the public can no longer touch and feel. When that happens, the young lions become far less of an asset to the venue in question. Until, that is, they can be sold to a private game reserve, aka: a death camp. Sometimes the petting camp is the death camp. And the general public, without knowing it, is funding them. Sadly, the White Lion is regarded by international trophy hunting syndicates as arguably the highest value trophy in the world – made even more desirable by the fact that there are so few of them left. It is not only legal to hunt White Lion in the wild but they can be shot in an actual cage – where they’ve been living their whole life. If you can believe this, hunters can even select them from a catalogue on the Internet. Of course, trophy hunters, certain tourism folk and other interested parties will no doubt tell you that hunting provides much-needed employment and generates a significant amount of revenue. I don’t argue that for a moment. I’m sure trophy hunting creates dozens of jobs and brings in great bricks of foreign currency (although a recent international economists’ report claims that only 3% of the proceeds of trophy hunting reaches the local community in which it occurs, but let’s not digress). I’m afraid the issue of whether or not White Lion hunting makes financial sense, is not the point. It’s a little like saying we can make large sacks of money by selling our children into slavery and, thus, we should consider it. In fact, based on this way of thinking, you could excuse and rationalise almost anything as long as it generates decent income. Similarly, the notion of being able to take the life of an individual animal for sport, based on the argument that its numbers are high and healthy is, in many respects, just as flawed. On this basis, I should be able to waltz into your home and, armed with a crossbow say, take aim at your family. I would of course explain that this shouldn’t upset you in the least as there are a great many more healthy families out there in the world. The important thing, I would assure you, is that there’s still lots of ‘human ground’ to mine. Lots of runway, to use the corporate cliché. So stand aside, friend, my money is good. And yet, still, there is some faint hope. Thanks to The Global White Lion Protection Trust and a team of international scientists who last year identified the genetic marker that makes White Lion unique (they are not albinos, as some people think), plans are in place to try and have them protected by law. If you would like to see what you can do to help The Global White Lion Protection Trust, I urge you to visit their website and have a look around (www.whitelions.org). Everyone can make a difference, however small. For my part, my latest novel King has been written as an emotional tribute to the White Lion – to try and shine a light on their plight, I guess. I plan to make a sizeable donation as well once the book has sold. Just for the record, when I set out to write King I had no idea what was happening to the White Lion. Linda Tucker and her team at The Global White Lion Protection Trust are trying to raise funds to expand the protected reserve in the Kruger to Canyons Biosphere, where they have successfully reintroduced three prides of White Lion to their ancestral pridelands (in a long-term scientific reintroduction programme that has taken more than a decade). I hope they are successful. I hope that, in the months and years ahead, they don’t have to battle alone. I hope that at some point government, tourism and wildlife officials will finally take a stand to defend the White Lion. I hope my daughters will one day be able to see them roaming free in the wild, legally protected from the most savage predator that the world has ever known. Gareth Crocker’s debut novel, Finding Jack, was published in New York to international acclaim. 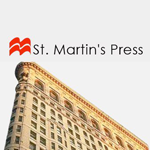 It was translated into several languages and featured in eight volumes of Reader’s Digest Select Editions with combined sales of more than a million copies. 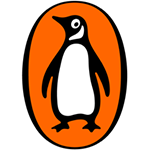 In 2012 Penguin Books published his adventure novel, Journey from Darkness, followed by the kidnap thriller, Never Let Go in 2013. Both Finding Jack and Never Let Go are currently being considered for films in Los Angeles. 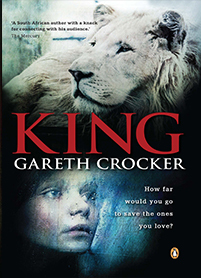 Gareth’s latest novel, King, has just been released and tells the story of an American policeman who sacrifices everything to save a lone White Lion. just read “finding jack’ and found it very moving and enjoyable. while reading the thought kept passing through my mind that finding jack would be an outstanding movie; maybe it is but as an 81 old korean vet who doesn’t have much interest in movies, i don’t keep up with them. anyway thanks for writing the book and i’ll make it a point to read your later novels. Thanks so much for the kind comment. Finding Jack isn’t yet a film, but hopefully it will be in the not too distant future. Very best wishes, Gareth. Thanks so much. I really appreciate you getting in touch. All our lions are under threat. The African lion population has shrunk by around 75% in the past two decades. There are around 1,500 lions killed every year by trophy hunters. Consider that for every male lion hunted (and that is usually what the hunters want), about 6-8 lions actually die. How does that happen? Well, when a pride male is killed, his pride is taken over by another male or a couple of males (usually brothers). Any cubs are killed by the incoming males in order for the females to come back into oestrus so that the new pride males can sire their own offspring. There are now far more lions in captive breeding facilities than there are in the wild. Despite what these breeders tell you, these lions are never (and in fact cannot be) released into the wild. They remain where they are (or get sold on to some other facility) and wait to die, for their heads to be mounted on some morally bankrupt persons wall and their bones to be weighed and shipped off to the East. While the rhino poaching situation is completely out of control (855 poached this year as I write this), the lions are in a far more dire situation. Lions teach us so much about truth and heart. We need to speak our truth for them. Do not support pet-a-cub or walking with lions anywhere. Educate those who do not know. Speak out whenever and wherever you can. They need our voice. A future without lions in the wild is certainly too painful for me to contemplate.